The profitable passion is for anyone who wants to start a side hustle. There are so many people who are working a job and just can’t make ends meet. 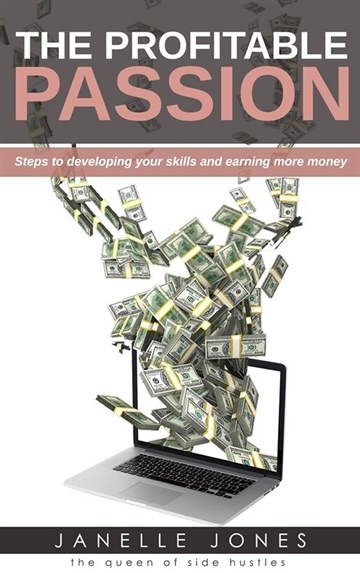 Every month they say if I just had a little extra money I would… Well if this is you The Profitable Passion is the book for you! Janelle divulges in all topics to help you start making money from your passion. Topics range from which passion to choose, what to charge, how to market it, taxes and so much more. This book is also filled with bonus items from the list of 100 side hustles to side hustle checklists. There is also a page of bonus information at the end of the book that makes this book work its weight in gold!